The Fair Food Agreement has changed the way 90 percent of the tomato farms in Florida treat their workers. But, for now, Wendy’s has stopped sourcing from there. The Coalition of Immokalee Workers (CIW) has Wendy’s—the world’s third largest hamburger chain—in its crosshairs. The group is officially calling for a boycott, and they kicked off the effort with a 10-day Workers’ Voice tour earlier this month. This is only the second official boycott undertaken by CIW, whose Fair Food Program has made major strides towards corporate social responsibility in the tomato fields of South Florida. The first boycott was against Taco Bell 15 years ago and rang solidly through public consciousness. Since then, 14 major corporations (Wal-Mart, McDonald’s, Whole Foods, and Chipotle among them) have signed on to the Fair Food program, and as a result 90 percent of tomato farms in South Florida now participate. The Program’s success has led the Coalition to expand into other tomato growing states, such as Georgia, North Carolina, South Carolina, Virginia, and New Jersey. Wendy’s represents the last major holdout in fast food, and its acquiescence to the group’s demands could make a big impact in corralling the remaining unregulated tomato farms in the state. In lieu of capitulating, however, CIW leaders say that Wendy’s appears to have stopped buying tomatoes in Florida. The group says that Wendy’s is sourcing tomatoes from Mexico, and they see the shift as completely undermining the struggle for food justice here in the states. A Harper’s reporter also confirmed that the Kaliroy Corporation—the U.S. distribution arm of the major Mexican tomato grower, Bioparques de Occidente, and one of the farms covered in last year’s LA Times series on labor in Mexico—is indeed a Wendy’s supplier. Wendy’s Bertini pointed Civil Eats to the company’s in-house code of conduct. 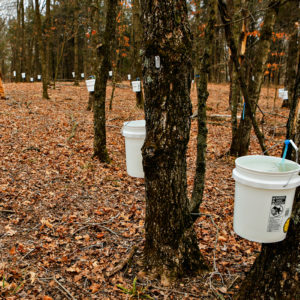 “We have always prided ourselves on our relationships with industry-leading suppliers, and we work with companies who share our commitment to quality, integrity, and ethics,” he said. Reyes says that Wendy’s code of conduct has no teeth. “It doesn’t matter if you have the most beautiful set of rules or code of conduct” he said. “If you don’t have the workers protected against retaliation in the workplace, you are not going to receive complaints.” Complaints from workers, Reyes believes, tend to come up when there’s a safe grievance policy in place. 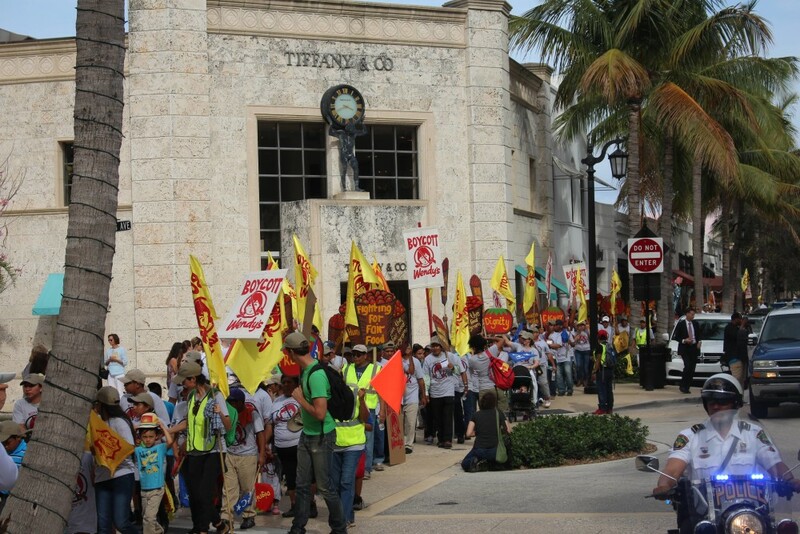 At the rally, the Coalition marched with a group of workers and activists along the gilded pedestrian path of Worth Avenue on Palm Beach (they were legally precluded from marching in the streets). They were joined by Ethel Kennedy, who founded the Robert F. Kennedy Center for Justice and Human Rights in honor of her late husband, a major supporter of Cesar Chavez’s struggle for farmworker rights in the 1960s. 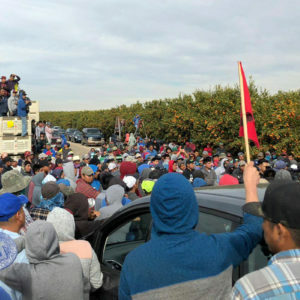 So to say March 12th was something of a “full circle moment” for the struggle for farmworker rights, a battle which has been fought on various fronts over the past five decades, is true in some respects. CIW closed their Workers’ Voice tour the same way they opened in the streets of Midtown Manhattan eight days prior. The reasons for the boycott were illustrated with theatre procession not unlike those performed five decades ago by El Teatro Campesino, the patchwork theater troupe acting on behalf of the same disenfranchised farm workers for which Chavez campaigned. Although, according to the CIW, workers in Florida have often faced much harsher conditions than the grape pickers of the 1960s, including a number of documented cases of slavery. Speaking near the assemblage of protesters rallied around of the flatbed, Miguel Estrada, a Presbyterian pastor who works closely with the Coalition, has witnessed conditions improve considerably over the course of his involvement in the Immokalee community. Estrada believes the visibility of the Fair Food Program has been crucial to the improvement. Estrada hails from a tomato growing region of Guatemala, Baja Verapaz, and first began picking tomatoes at age 16. He says that just 10 years ago the working conditions for tomato pickers in Guatemala and the U.S. were essentially the same. Nely Rodriguez worked for 10 years in the tomato fields of Florida after traveling from her home in the Northern Mexico. She says that prior to the Fair Food Program, employees were transported to the ranches in the early morning hours, whereupon they would have often have to wait several hours for plants to dry before they could begin harvesting. It was down time for which the workers were not paid. While workers gain extra $40-$60 a week through the Fair Food Program’s penny-per-pound premium, the most crucial feature might be the ability to file effective grievances without fear of retaliation. 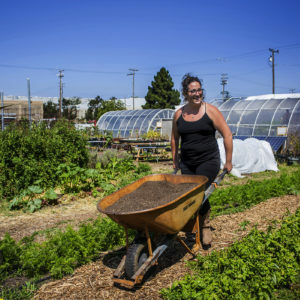 Julia de la Cruz, who is originally from Southern Mexico and started harvesting tomatoes in Florida 10 years ago, says before the Fair Food Program was prevalent, complaints were often met with swift action aimed at eschewing the problem rather than addressing it. “[Supervisors] wouldn’t tell you anything. They discharged you easily. If you came to complain, they sent you home. The next day you did not have a job,” said de la Cruz. Now workers faced with injustice can call a 24-hour complaint hotline managed by the Fair Food Standards Council, a third-party monitoring program and investigative body. Once a worker files a complaint against a participating farm, the Council launches an investigation which includes a corrective action plan. According to the CIW, since Florida growers began participating in the Fair Food Program four years ago there have been no cases of forced labor at participating growers’ operations. During that time, violence and sexual assault have also been eradicated. Progress on human rights conditions abroad, however, remains stagnant. The U.S. Department of Labor lists Mexico as one of three countries known to harbor exploitive labor practices in tomato fields. To much Mexico in the news, Bad press for Wendy's. My nephew thinks the state of Florida should be protecting the workers?